Harmonic separators are dichroic beamsplitters used to reflect one wavelength and to transmit the others. 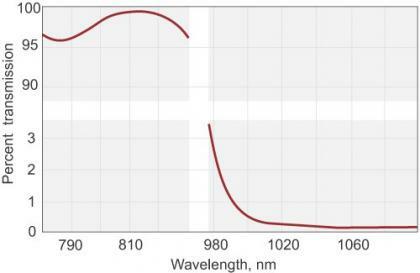 Reflectance of >99.5% for the wavelength of interest and transmittance of >90% for the rejected wavelengths. The rear surface of harmonic separators is antireflection coated. We also suggest to take a look at our SALE items – non standard dichroic mirrors that are available ex-stock.